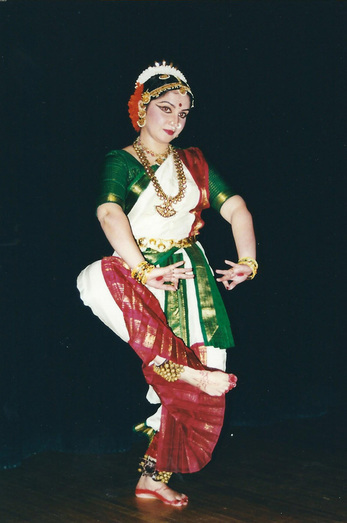 Shoba Natarajan is one of the foremost exponents of two classical dance styles of India - Bharatanatyam and Kuchipudi. Shoba commenced her artistic journey at the age of five under the legendary dancer, Padma Bhushan Kamala. She gave her first formal stage performance at the age of eight and continued her tutelage with the reputed guru, Kalaimamani S. K. Rajaratnam. ​Fascinated by Kuchipudi, Shoba came under the influence of the world-renowned, Padma Bhushan Dr. Vempati Chinna Satyam and is today one of the leading exponents of this style. Audiences worldwide have been deeply moved by the poetic charm of Bharatanatyam and Kuchipudi through Shoba's sophisticated and richly layered interpretations. ​Shoba has performed the lead role in several of Dr. Chinna Satyam's productions, and is best known for her stirring portrayal of Srinivasa in 'Srinivasa Kalyanam.' Shoba has played an active and important role in popularizing Kuchipudi and Bharatanatyam around the world. In 1984, she became the first Kuchipudi dancer to tour the Soviet Union. She has also undertaken several dance tours of India, the United States, Russia, Europe, Southeast Asia, and South America. 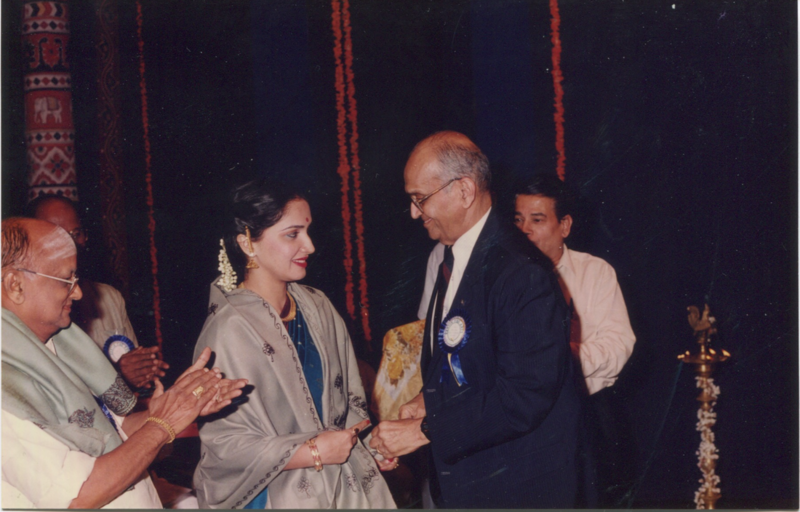 Shoba receiving the prestigious 'NadanamAmani' award. Her Bharatanatyam Guru Sri S.K. 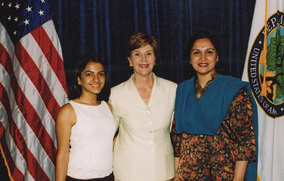 Rajaratnam is also in the picture. 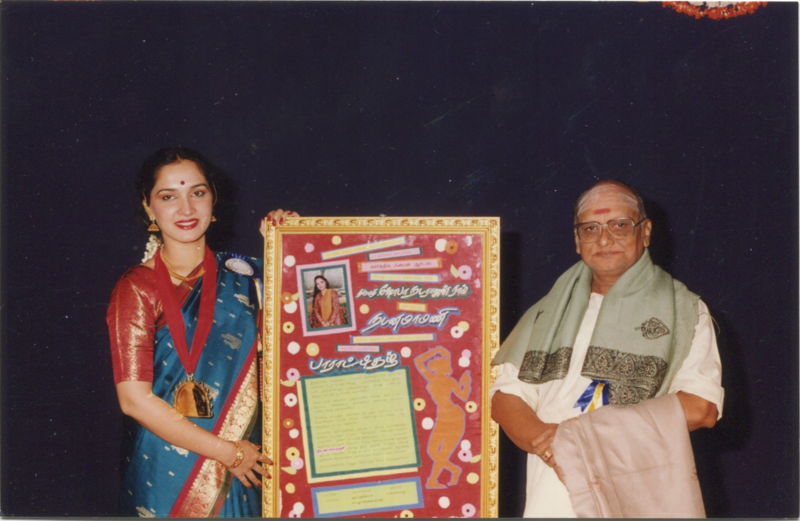 Advanced diploma in Carnatic vocal music from the Music Academy, Chennai. Conducted scholarly research into Tamil heritage in dance music at Annamalai University, Tamilnadu. Recipient of numerous prestigious awards, performance grants and artist fellowships. Co-founder of ‘Nritya Ranga’, a dance cooperative in Chennai, India, that has promoted and nurtured young dance talent since 1978. Shoba has had the wonderful opportunity and privilege to present both Kuchipudi and Bharatanatyam to audiences in Sao Paulo, Brazil - July 2016. She conducted a Kuchipudi workshop which was very well received by the Brazilians. In addition, she also presented a lecture-demonstration on 'The essence and aesthetics of Bharatanatyam' to the spell-bound audience. gAyiyE gaNapathi - Kuchipudi performance by Shoba's students who attended her workshop in Sao Paulo.